L.A Times: ‘Viet Stories’ exhibit highlights the struggles and achievements of Vietnamese in the U.S. Presented by OC Parks and Viet Stories at UC Irvine, the VIETNAMESE FOCUS: GENERATIONS OF STORIES exhibition, co-curated by Dr. Linda Trinh Vo and Tram Le with original artwork by Trinh Mai, showcases the diverse experiences and histories of Orange County’s Vietnamese American community. The exhibition provides snapshots of their lives before the war, experiences during the war, paths of escape and resettlement, and current lives in Orange County. It was on display from July 2015 to March 2016. The exhibition offered students thought provoking intersections with Orange County Unified School District’s curriculum in Language Arts, U.S. and World History, and Fine Arts. This multi-media interactive exhibition and educational activities had been designed to provide students with the opportunity to expand their literacy skills through reading comprehension, creative writing exercises, and critical thinking. As an exhibition of history and visual art, the informative panels, artifacts, photographs, and works of art presented in this exhibition introduced students to the personal stories and contextual information to broaden their cultural knowledge of the experiences faced by Vietnamese Americans in Orange County. Additionally, this exhibition combined both primary and secondary sources, giving students the opportunity to explore how individuals have lived through history. Help Keep Our Histories Alive! We are a self-funding project that relies on generous private donations like yours to continue the important and urgent work that we do. Tell us how you are using the oral histories for your class, research projects, video, etc. 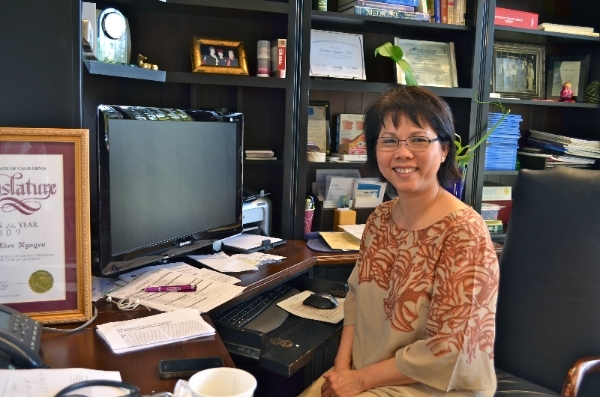 Dr. BichLien Nguyen is a UC Irvine alumna and co-founder of the Vietnamese American Cancer Foundation (VACF). "She is currently an oncologist practicing in Orange County, California. Her interview focuses on her memories of going to pharmacy school in Saigon, being the eldest in her family..." Click her photo to read more. "About 10 years ago, after I retired, I started feeling that my duty is to look for my father’s documentation when he created the first Vietnamese traditional dress. From the help of the second generation people in Japan, Vietnam, and America, I prepared a documentation about the traditional dress Nguyen Cat Tuong. During the time that I was looking for those documentations, I met many knowledgeable people and they helped me with Vietnamese culture and history. It encourages me to complete my project about my father’s work." Click his photo to hear the entire story. Support for Viet Stories comes from the Jao Foundation, UC Irvine School of Humanities, Department of Asian American Studies, Illuminations: The Chancellor\'s Arts & Culture Initiative, UCI Libraries Orange County & Southeast Asian Archive Center, Orange County Parks, Old Courthouse Museum Society, individual donors, generous grants from Wells Fargo Foundation and Edison International, as well as from Vietnamese in Philanthropy (VIP), an Asian Americans/Pacific Islanders in Philanthropy (AAPIP) Giving Circle in Orange County supported by OC Community Foundation. Created in 2011, Viet Stories: Vietnamese American Oral History Project assembles, preserves, and disseminates the diverse life stories of Vietnamese Americans in Southern California for future generations. Viet Stories connects the university and community by partnering with local and national organizations, community leaders and volunteers, and the media. The collection focuses on the legacy of refugees and immigrants whose life stories contribute to our understanding of American history and of Vietnamese in the diaspora. The Department of Asian American Studies at UC Irvine offers “Vietnamese American Experience” and “Asian American Research Methods” courses that train students to be community oral historians. The Associate Director, students, interns, and volunteers conduct interviews that are transcribed, translated, digitized, and made accessible online. Viet Stories works with K-12 teachers and college instructors to include the oral histories in their curriculum and collaborates with researchers on their projects. 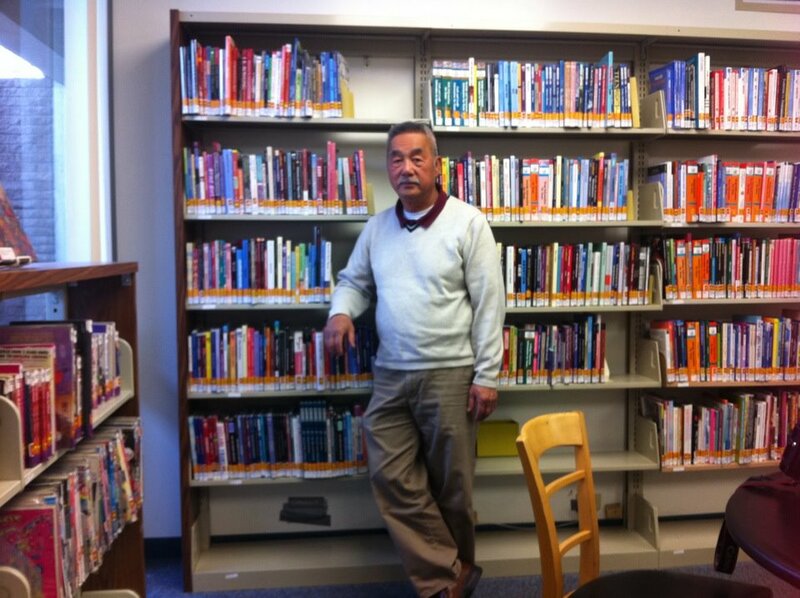 The Department of Asian American Studies in the School of Humanities at UC Irvine is responsible for Viet Stories. Visit humanities.uci.edu/aas. The oral history collection is permanently housed at the Southeast Asian Archive at UC Irvine Libraries as well as digitized for online access. Visit the website at vaohp.lib.uci.edu. The Southeast Asian Archive, established in 1987, documents the experiences of refugees and immigrants from Vietnam, Cambodia, and Laos and collects books, journals, dissertations, theses, photographs, paintings, and other materials. Visit seaa.lib.uci.edu.